Spruce Kings defenceman Max Coyle, right, knocks the puck away from Grizzlies forward Ryan Nolan during the first period of Game 4 at The Q Centre on Tuesday. The Alex Newhook era at The Q Centre ended late Tuesday night on a goal by Ben Poisson that gave the Prince George Spruce Kings a 3-2 overtime victory. The Victoria Grizzlies, captained by projected 2019 first-round NHL draft pick Newhook, were swept 4-0 in their best-of-seven B.C. Hockey League Coastal Conference final series as Poisson proved poison. The Spruce Kings are 12-1 in the playoffs including nine straight victories. The first period was scoreless as both goaltenders held their own. Kurtis Chapman of Victoria is a 20-year-old with Western Hockey League experience. Six-foot-two Michigan native Logan Neaton’s goals-against average this season of 1.90 was the seventh best in BCHL history. Prince George struck first at 1:12 of the second period through Liam Watson-Brawn, one of five Spruce Kings defencemen committed to NCAA teams. Newhook, the league regular-season scoring champion tied it on a two-man Victoria power-play advantage at 13:44. The native of St. John’s, N.L., then scored his second power-play goal of the night and 11th goal of the playoffs, at 18:29 of the second. Penn State-bound blueliner Kenny Johnson assisted on both Newhook goals. Then Prince George’s outstanding blue line struck again. Spruce Kings defenceman Layton Ahac, projected for the 2019 NHL draft, tied the game 2-2 on the power play with Johnson in the box at 9:40 of the third period. The shots after 60 fast and furious minutes were 31-28 to Prince George and 44-36 after overtime. The Spruce Kings have been in junior hockey since 1972 and the BCHL since 1996. They have never won the BCHL title and went to their first final last year before losing the Wenatchee Wild. The Spruce Kings will meet the winner of the Interior Conference final, either the Wild or Vernon Vipers, in their second consecutive trip to the league final. 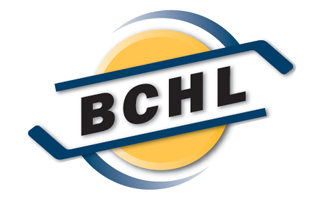 Victoria last won the BCHL championship in 2001 when the franchise was known as the Salsa. ICE CHIPS: The Grizzlies, already missing eight-goal playoff scorer Marty Westhaver to injury, saw defenceman Cole Noble go down in the third period.